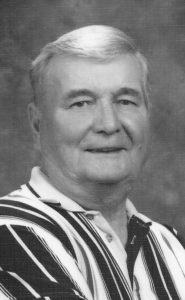 FRANK TONY PAUL, beloved husband of Annette Kaye Paul, of Warner, passed away at the Milk River Health Centre on Friday, May 11, 2018 at the age of 81 years. Frank is survived by his loving wife, Kaye Paul, his sister, Jane (Evan) Davies, his children, Frank (Monique) Paul, Margo (Dave) Speerbrecker, Andrea Klein, Laurie Paul, Jason (Michelle) Paul, Dan (Nicole) Paul, Chris (Glenda) Paul, Dave (Lindsay) Paul, Tara Paul, Terry Paul and Rebecca (Kelly) Gurr, as well as his 23 grandchildren, eight great-grandchildren, numerous nieces and nephews, his mother-in-law, Grace Rosenblatt, and his brothers-in-law, Ian (Elaine) Robinson, Ross (Imelda) Robinson, Wayne (Jody) Robinson and John Cook. He was predeceased by his parents, Andrew and Jane Paul, his sisters, Mary McCulloch, Anne Geisinger, Violet Paul and Elizabeth Paul, his brothers, Thomas Paul, Andrew Paul and Terry Paul and his sister-in-law, Helen Cook. Frank was a private and quiet man. To him, family was first and foremost. He loved and cherished many memories of time spent with family and being home on the farm. He enjoyed hobbies, such as: woodworking, visiting the mountains, watching classic movies and seeing his beautiful garden grow. He had a love of horses and enjoyed raising hogs and cattle. He had many different jobs as a young man. He drove trucks and semi trailers up the Alaska Highway and all over northern Alberta, British Columbia and the Yukon Territory. It was up on the Alaska Highway where he met his wife, Kaye. In later years, they drove up into the Yukon Territory together to bring back memories and visit relatives. Frank and Kaye went down to Australia so he could meet her family in late 1972. They mined sapphires in central Queensland for a year before returning to Canada. In addition to raising livestock, Frank worked a number of years in highway maintenance. He got to live on “the farm” he loved for 30 years. A Memorial Service will be held at CORNERSTONE FUNERAL HOME, 2800 Mayor Magrath Drive South, Lethbridge, AB on Saturday, May 19, 2018 at 2:00 P.M. In lieu of flowers, donations may be made to the Milk River Health Centre, P.O. Box 90, Milk River, AB T0K 1M0 or to the Canadian Cancer Society, #200, 325 Manning Road N.E., Calgary, AB T2E 2P5.